One out of every 10 golf courses recognized in Golfweek’s annual list of the Best Resort Courses is a Nicklaus Design layout. No. 13 Harbour Town Golf Links, the famed seaside Nicklaus collaboration with Pete Dye in Hilton Head Island, S.C., leads the Nicklaus Design roster. Also included in the top-100 are No. 30 May River Course at Palmetto Bluff (Bluffton, S.C.); No. 36 Manele Golf Club (Lanai, Hawaii); No. 37 Nicklaus Course at Pronghorn (Bend, Ore.); No. 38 Ritz-Carlton Golf Club at Dove Mountain (Saguaro & Tortolita, Marana, Ariz.); No. 66 Ocean Course at Hammock Beach (Palm Coast, Fla.); No. 71 Reflection Bay Golf Club at Lake Las Vegas Resort (Las Vegas, Nev.); and No. 76 the Champion Course at PGA National (Palm Beach Gardens, Fla.). Recognize a few of the top-100? 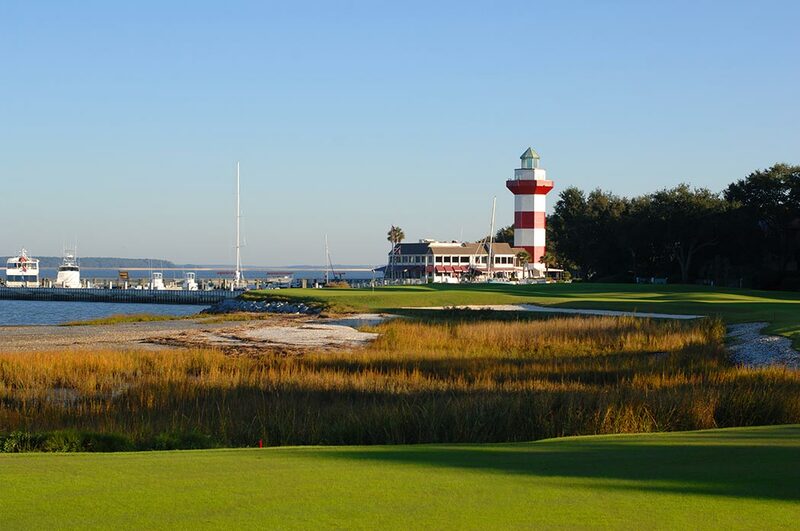 Harbour Town annually hosts the RBC Heritage on the PGA Tour. The Ritz-Carlton Golf Club at Dove Mountain (up 13 spots over last year’s ranking) hosted the World Golf Championships-Accenture Match Play tournament from 2009 to 2014. The Champion Course at PGA National is the site of this week’s Honda Classic, and is typically one of the toughest non-major golf courses on the PGA Tour. Other Nicklaus Design golf courses to round out Golfweek’s Best Resort Courses list are the Nicklaus Course at Bay Creek Golf Club (Cape Charles, Va.); Four Seasons Resort Hualalai (Kailua-Kona, Hawaii); Grand Bear (Saucier, Miss. ); the New Course at Grand Cypress (Orlando, Fla.); the North/South Course at Grand Cypress; the Bear Course at Grand Traverse Resort (Traverse City, Mich.); the Greenbrier Course at The Greenbrier (White Sulphur Springs, W.Va.); Kauai Lagoons at Kauai Marriott on Kalapaki Beach (Kauai, Hawaii); Ridge/Canyon at La Paloma (Tucson, Ariz.); Melrose Golf Club Daufuskie Island (S.C.); Nicklaus Resort at PGA West (La Quinta, Calif.); and Rocky Gap Casino Resort (Cumberland, Md. ).